Welcome to Day 29 of 31 Days of All Things Home! 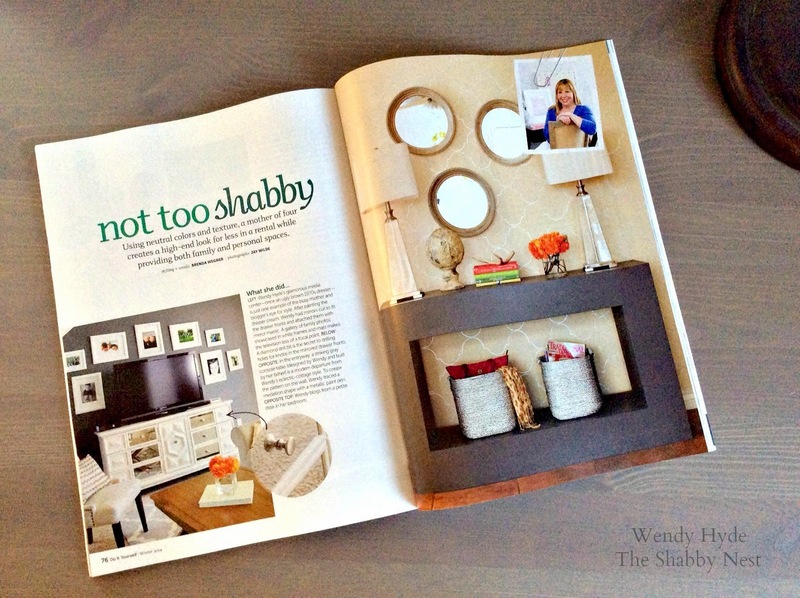 One year ago this month, Better Homes & Gardens Do It Yourself Magazine came to my house to photograph it! I've been waiting impatiently excitedly ever since for the feature to come out. And it is finally here! When my copy arrived in the mail yesterday, I literally squealed with excitement...and my oldest laughed at me saying I sounded just as excited as I was when I first saw my book in a hard copy! Truth is, I am just as excited. This is another one of those surreal dreams...those bucket list items that I can actually cross of my list! The feature on our previous house is absolutely beautiful! It was so fun to see, and it made me a bit nostalgic. 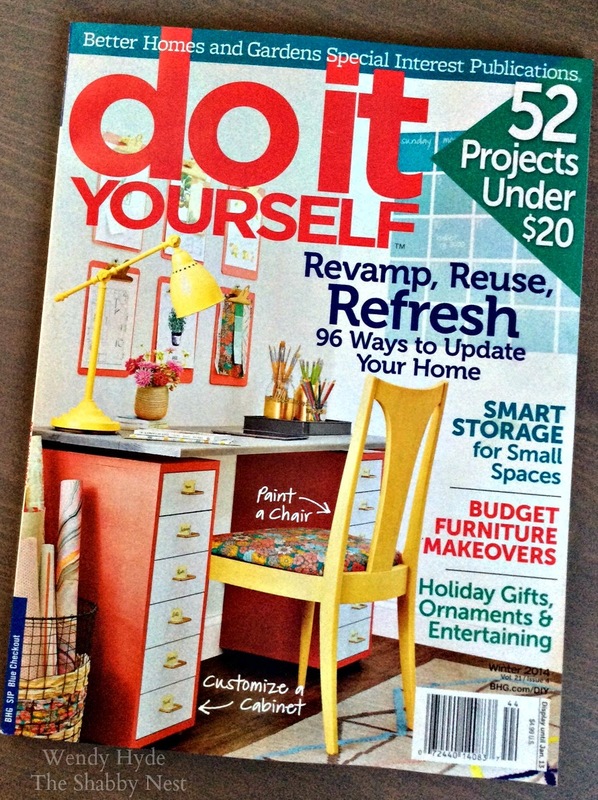 Better Homes & Gardens Do It Yourself magazine will be on news stands starting November 4th! So go grab a copy and see the entire article! But do me a favor, and don't act too surprised if you see someone that looks suspiciously like me at the store buying up all the copies. ;-) I might just wallpaper a room with them. Just kiddin'. Kind of. Wow! Congratulations! That's such a big deal and so exciting for you and your family! I just got my issue of Do It Yourself. Congratulations on your wonderful article. As someone who is new to blogging you are an inspiration!